Join the event and let us assist you in setting the beat for the future. It has been 3 years since Kantar Worldpanel was established in Indonesia and it is now our great pleasure to celebrate this milestone with a special event hosted by Kantar Worldpanel Indonesia. With this event, Kantar Worldpanel – the global leader in consumer panels – aim to provide you with the insights that will inspire your future successes. We will bring you to the heart of Indonesia consumers, to catch the rapid shift of their consumption habits and assist you in setting the beat for the future. 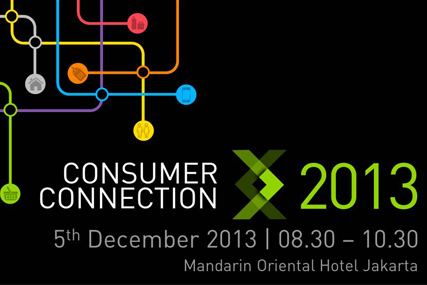 How to decode global consumer trends into local initiatives? 2 | ECONOMIC SLOW DOWN: WHAT TO EXPECT FROM YOUR CONSUMERS? What's today’s challenge in Indonesia FMCG market? 4 | IS LOYALTY JUST AN ILLUSION? What our experts think about how to improve the loyalty of your brand? Is it now the right time? Kindly contact us at indonesia@kantarworldpanel.com for more details.